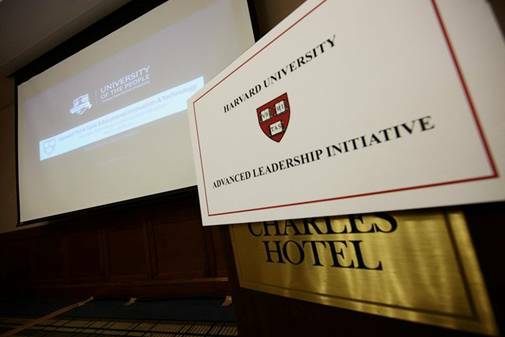 Recently, I presented at and attended Harvard University’s Advanced Leadership Education Think Tank, organized by Professor Fernando M. Reimers. The event gathered together worldwide thought leaders in education covering aspects of how and if technology can help education develop forward in the future. There was a general consensus that technology can accomplish educational progression, but at the same time acknowledgement that we should monitor its effect to ensure we use resources effectively to garner the greatest effects. We are in an age of opportunities in which we are able to have scalable impacts designed to be effective, efficient and relative. UoPeople received a great welcome and outstanding support at the event. It is clear by now, not only to us, that we are doing the right thing at the right time with UoPeople. I would like to take the opportunity to thank all of our supporters around the world, and particularly those at Harvard University. This entry was posted in Uncategorized and tagged Education Think Tank, Fernando Reimers, Harvard University, shai reshef, university of the people, uopeople. Bookmark the permalink. UoPeople is definitely leading the way to a world of unhoped-for, unsuspected opportunity. I remember the lyrics of a song from late Bob Marley that say “in the abondance of wate, the fool is thirsty”. Indeed, I wonder why all this thirst – unquenched- for knowledge in the midst of technological plentiness. Thank you UoPeople for helping me us out of foolish ignorance! It’s wonderful keep working hard and be sure that you have a support of people around the world. I am completely impressed by UoPeople. Coming from an African country where many miss the opportunity for higher education due to lack of finances, UoPeople is truly an answered prayer.